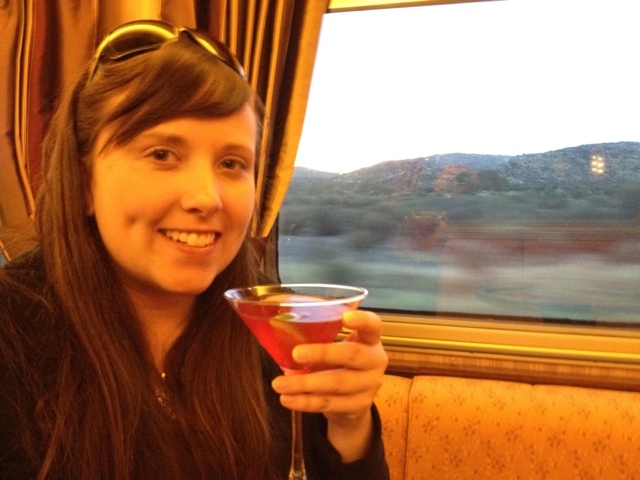 Cosmos on a train? Love. Slightly James Bond of me? I think so! As a follow up to my post “Things I hate about Australia“ I bring you my more pleasant post “Things I love about Australia”. As I have said before I have been to Australia many times and of course its quite simply because I love this place (aside from the expensiveness of it), I love my friends that live here but lets be more specific. I often make fun of Australians who use the words “heaps“, “reckon” and “keen“, but if they stopped using these words the way they do I would definitely miss it, also I wouldn’t have anything to giggle about constantly anymore. You can also often find Australians saying “How you goin’?” as a greeting, I’ve talked about this one before and it constantly confuses me. Trackie daks = track suit pants, thongs = flip flops , capsicum = peppers, arvo = afternoon, I can go on, I kind of love it all. 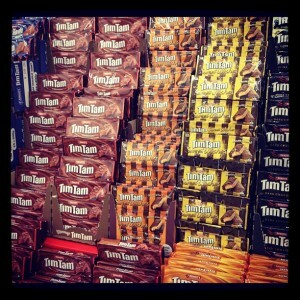 Copious amounts of Tim Tams in the grocery store. Similar to the UK, bars, RSLs, Hotels (what they sometimes call bars) all have Cider ( the alcoholic kind) and various types of it. At home we have Strongbow and thats about it and more often then not the bar you are at doesn’t have it on tap they just have it in can or bottle form. Here in Australia not only do they have Strongbow but they have at least 3 or 4 different flavours of it, they also have the brands called Bulmers, Magners and many others made from apples, pears and sometimes even mixed with raspberries and other fruit. As you may have guessed by now as Candice would say “I loves me some Cider“. 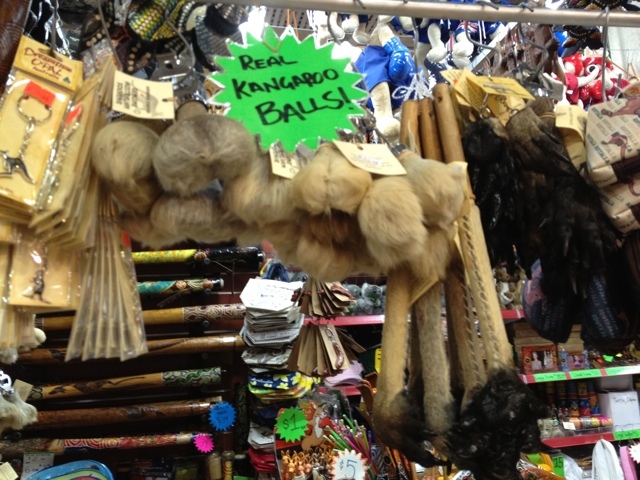 Interesting souvenirs at Paddy’s Market in Sydney. I’m not sure if it’s because of the sunny weather and warmer temperatures causing more people to want to be outdoors or not but I find everywhere I go in Australia there is a market that “you must check out”. Whether it is one of my favourite markets in Sydney like The Rocks Market or its Paddy’s Market the cheap touristy Asian market, or a more artsy market like Bondi Markets, Chinatowns Friday night market or its the food Market in Adelaide or Parap Village Market in Darwin, they seem to be everywhere and there are many of them. Always full of great food to eat right away or to buy for cooking along with art, jewellery, clothes and tourist souvenirs you will most likely love them all too. 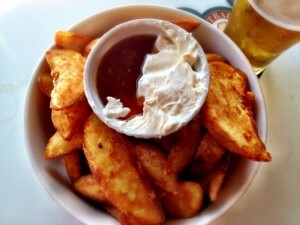 I have mentioned these before as well and Australians are actually surprised to hear it when I tell them but this interesting appetizer is specific to them for god knows why. If you think about it they whole idea of this dish doesn’t really scream “Australian” but it is mighty tasty and you can find them at nearly every bar / restaurant you go to in the country. Canada needs to start serving these, its almost like a weird mix between nachos and poutine (well in my head it is) and I think all Canadians would fall in love with them like I have. 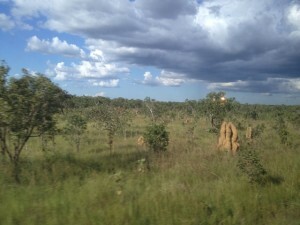 Termite mounds dot the diverse landscape in the country’s top end. After traveling the east coast of the country from Hamilton Island to Sydney on a previous trip and then taking the train called the Ghan through the Australian Outback from Adelaide in South Australia to Darwin in the Northern Territory I am often amazed by the diversity of this country. Desert, rain forests, big cities, famous coral reefs, beaches, forests, mountains you name it this country is beautiful and has a lot of everything. I also love the cheap domestic flights in Australia. Those are just a few of the things that I love about Australia and the list keeps growing. 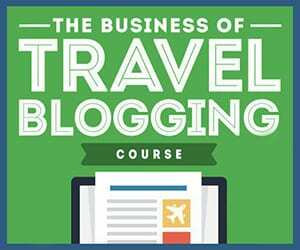 Have you ever been to Australia? What do you love most about it? Whoa, I’ve never seen kangaroo balls before! Ha, that would be quite the souvenir. I am from Australia and I find it really funny the things you find odd. LIke the slang. Tim tams are so good and so are wedges, sour cream and chilli sauce. I thought that you would have just indulged in this meal in your country as well. I thought it was a well known dish. I agree with Tim Tams and Cider. Became addicted to both while I was there! Australian wine! And Flat Whites. And the wedges. All-round an extremely lovable country.